A man's been jailed for a minimum of 16 years after he killed a Wolverhampton music teacher. Dylan Jackson who's 20 and form Whitmore Reans stabbed Herman 'Louis' Simpson over a drug deal. He's been told he'll serve a life sentence with a minimum of 16 years. Jackson had gone to the former music teacher’s flat in Compton Road on the night of 13 April as part of a pre-arranged drugs deal for heroin. After the stabbing he went on the run and was found 16 days later in Bath on 29 April. He denied murder, but the jury at Nottingham Crown Court took just 13-and-a-half hours to find him guilty following a trial last month. Louis’ mother Sylvia Simpson MBE paid tribute to her son following the verdict. She said: "Louis was a much-loved son, brother and father whose death has already left a huge void in many lives. “The outpouring of grief and kind words said by the community after his death, showed what a kind, generous and loving person he was and the turnout at his funeral reinforced this view. "Since Louis’ murder, we have been made aware of the life Louis led and that it was not what we thought. “Obviously, this came as a huge shock to all of us and we are disappointed that we were not given the opportunity to help him. "We have nothing but positive memories of him as a loving brother, father and caring son." 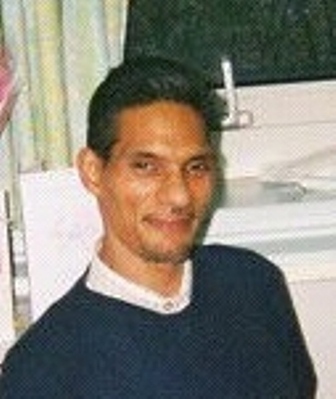 Detective Inspector Warren Hines, who led the investigation, said: "I am satisfied that the jury rejected Jackson’s assertion in court that he acted in self-defence when confronted by Louis after he realised that he was being ripped off. "My view is that this murder was motivated solely by Jackson’s greed; he was determined to make off with a large sum of money at any cost. Louis had a history of drug dependency which made him vulnerable to the actions of a determined criminal such as Jackson. "Whatever the background to this case, Louis leaves behind a family who are absolutely distraught at his death and my abiding hope is that the guilty verdict will allow them to begin the slow process of recovering from their sad loss."